Christian festivals – a good place to meet? Christian festivals have always been a fantastic place to connect with other believers, get inspired and re-energise your faith. But they can also be a great place to meet new people outside of your usual networks. There’s no denying that dating apps have forever changed the way that people find love, with more than one-third of marriages now starting with online dating. However, according to a recent survey, nearly 80 percent of women and 85 percent of men still want to meet face to face. So, given the huge potential to meet new people who share your values at Christian festivals, how can you maximize this opportunity? It’s a cliché, but for good reason. It’s important to approach the festival with the desire and mindset that you want to meet someone new. Fix this in your mind, send up a prayer and then look for opportunities to connect. Serendipity strikes when we least expect it, but you can be on the look out. 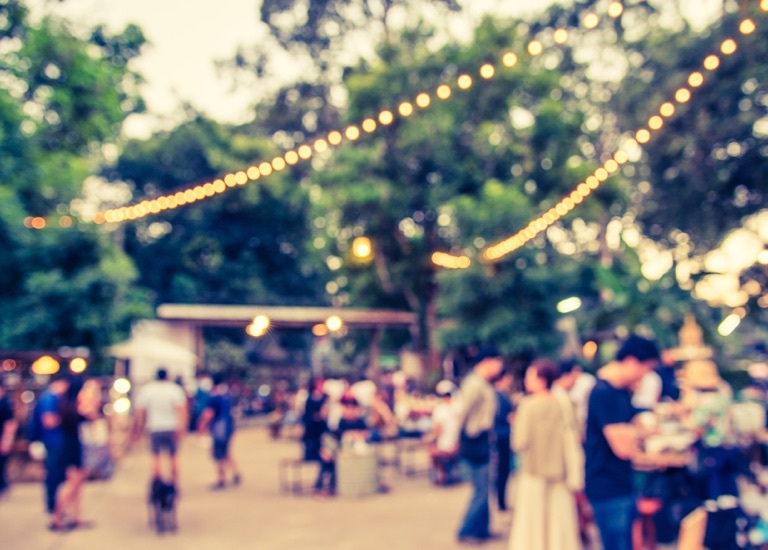 Festivals are a great place to challenge yourself, whether it’s preconceived ideas about theology, worship or stepping out of your comfort zone. Don’t stick to the same group of people all weekend. Challenge yourself to talk to someone whilst standing in the queue for a talk, the toilets or food. Spot someone on their own? Invite them to join you. Help someone put up their tent. Share your umbrella (or sun cream!) Offer a spare seat, poncho or drink to a neighbour and see where the conversation takes you. The festival bar or cafe is a great place to catch up with old friends. If you see someone you know in a group, ask them to introduce you to others in the group that you don’t know already. Volunteering is also a great way to meet new people who share an interest. And of course, be on the lookout for any social events where other singles might be hanging out. Here’s a useful tip when striking up a conversation with someone new. Within 5 minutes, see if you can discover a mutual friend or place. With only six degrees of separation between us (and arguably fewer in the Christian world), it shouldn’t take long to find a common connection. Whatever you do, remember to smile, engage with others and enjoy being a part of a wider community of believers. Going to the Greenbelt festival this weekend? Join us at one of our events.